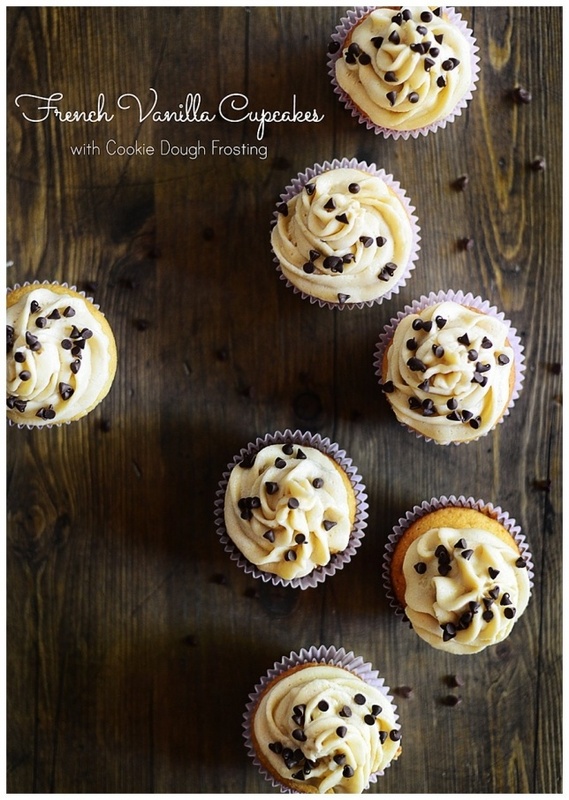 Celebrate National Chocolate Chip Cookie Day with these French Vanilla Cupcakes with Cookie Dough Frosting! Cookie dough frosting is probably one of my favorite frosting flavors ever. It goes wonderfully with chocolate cupcakes, chocolate chip cupcakes, or even these French vanilla cupcakes by Fun, Fit, and Delish! Click the link to check out the recipes!